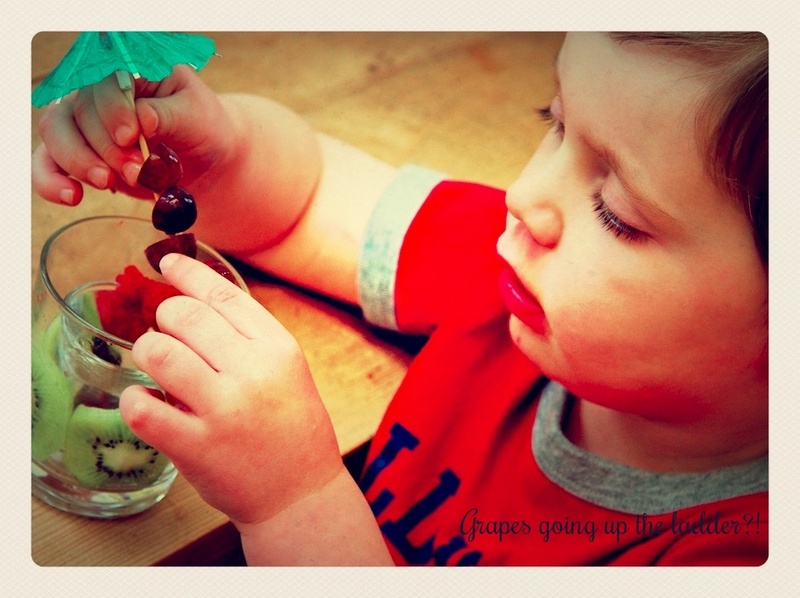 On our trip to see our family in Abingdon a little while ago my cousin came up with these great little fruit shots. My son, who has never eaten kiwi because he says he doesn't like it "it's yucky" munched away at the fruity delight all because of it's presentation! Clever couz! 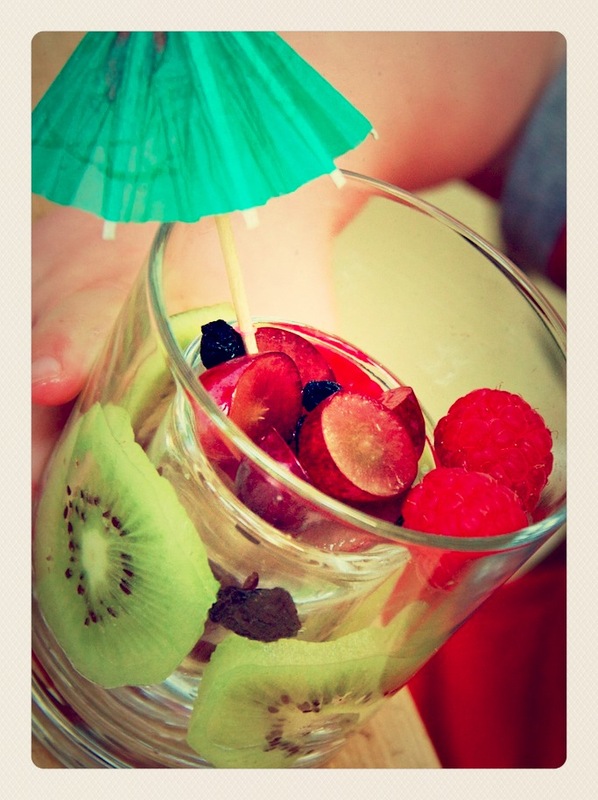 Just use a shot glass within a larger glass and place the layers of kiwi fruit between. Then pile the rest in the shot glass. Umbrella an optional extra if you are feeling in the holiday spirit! Big boy decided the grapes needed to climb up the ladder and made a kebab with the umbrella before eating them!